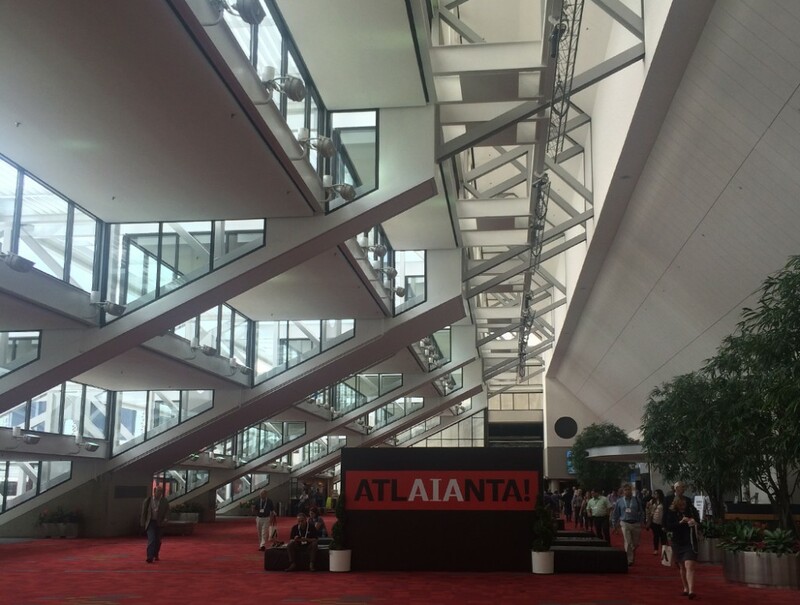 This past week I was in Atlanta, GA for the 2015 AIA National Convention. I make it a point to attend this event every year. It is a great part of my professional experience and I gain great benefit from it. 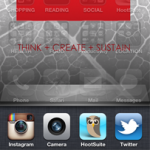 This year I was fortunate to present a seminar entitled “Mobile Technologies for Architecture Professionals”. This was another great experience. I have spoken on this topic now at many conferences, so I am able to relax and not be overwhelmed by the process of preparation and presenting. Unfortunately for me, it was an 8:30 am presentation on the last day of the convention. I think it went well and I have already received some positive feedback. 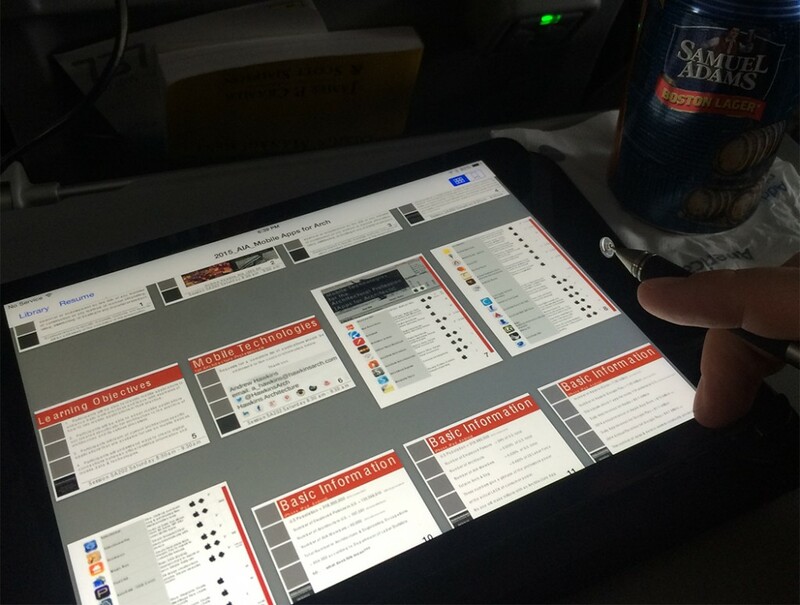 Reviewing my presentation on the plane ride in to ATL. But that is the least important part of the convention. As I have mentioned in the past (2014 2013 2012), the time at convention is mostly about meeting up with online friends (old and new) and having some face to face time. And that is always fun. But in the recap of the 2015 convention I am going to stress something a bit different. There was a very subtle and underlying theme at this convention that I did not even realize until I was on my flight home. And maybe even truly later than that . . . The main lobby for the convention; a central location. 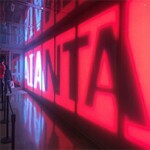 My trip out to Atlanta had a few complications and I arrived late. But once I finally arrived and met up with my friends, they had just come from an event for the Missing 32%. 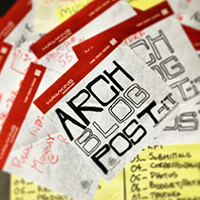 This is a movement to promote equality within the profession of architecture. You can check out the full movement here. So everyone kinda had some of that on their brain that first night as we sat around the bar talking among our group of 15+. The next day was the kickoff of the convention with the keynote speaker former president Bill Clinton. While I was not overwhelmed by his speech, it did have some insightful points that apparently tied the 4 days together, without my even realizing. He spoke about a range of ideas but they all revolved around how our world is becoming smaller and more tied together; both in positive and negative ways. But one statement stands out: (I’m paraphrasing here) “We need to stop focusing on our differences, and start focusing on the things we share in common”. Now while Mr. Clinton was referring this in a global capacity, I have managed to dial it down to our profession as the rest of the convention events settled into my brain. A great group! 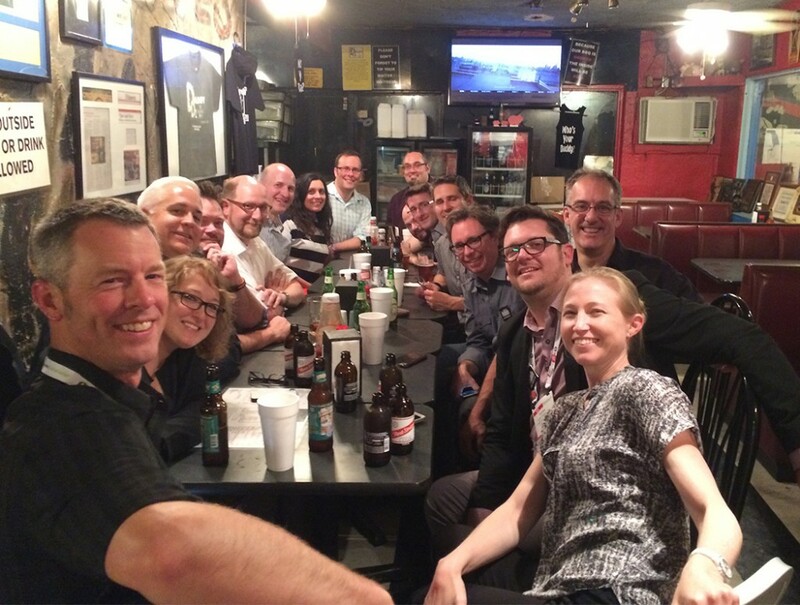 – Part of the large group of digital friends that meet up at Nat’l Conv. 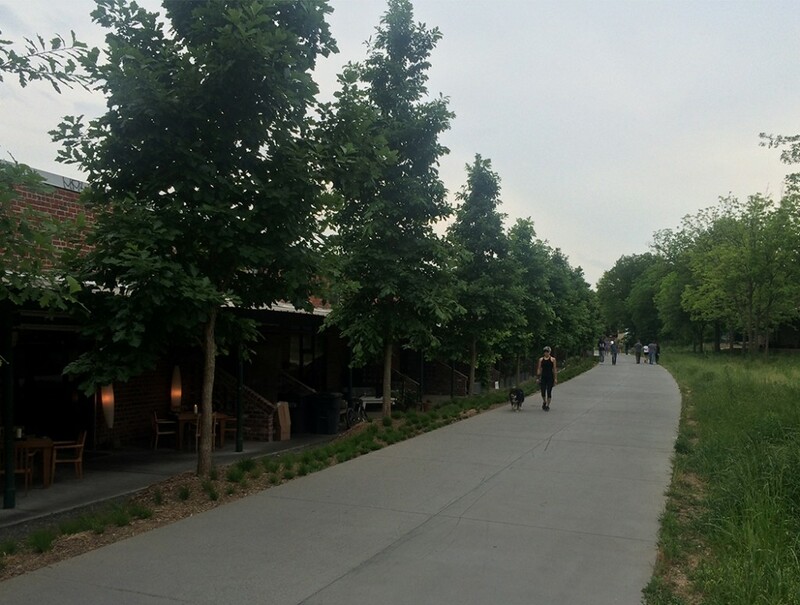 Atlanta’s new development: The Beltline is an urban treasure in progress. Over the next few days I had several discussions and attended presentations; all with differing perspectives, processes, and ideas about our chosen profession of architecture. And as I flew home and then drove in my car the next day it all started to fall together. We need to focus on our similarities and not our differences. 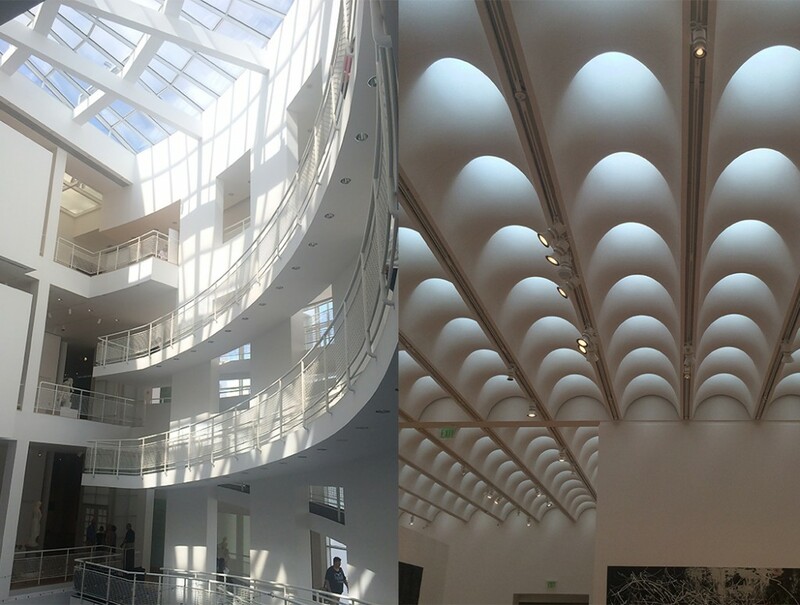 There is a great deal of ways that we all as architects are different. We like different styles, modern, contemporary, classical. We work in different ways, by hand, with models, with this software or that software. We are boundary pushers and trend followers. We are diverse. Now the current push for the profession seems to be a real need to diversify within our ranks. And I do not disagree. In many ways in regards to race and gender we need to expand our profession. But we also need to put some effort into seeing how all of us in the profession are similar. I feel like we do not seem to stress this enough and it allows the creation of separate silos within our profession; Wedges between our peers; Obstructions to sharing information and experiences that could improve the profession as a whole. These are things that no matter how ethnically and gender diverse we become could still be our biggest obstacles. And this is not something anyone ever seems to address in all the conventions I attend. I am not sure I even have an answer to this dilemma. But as an Architect, I want to find a solution. And I think that we should be looking for a way to bridge this gap as well as all the others that are in our profession at the moment. But we cannot ignore this one if we want to improve our profession and create the world we want to see. I know that right now our AIA campaign is based on the notion of looking up to see the world in a different way (#ilookup) but we need to also be looking ahead (#ilookahead) to the future of our profession, the built environment and our world. 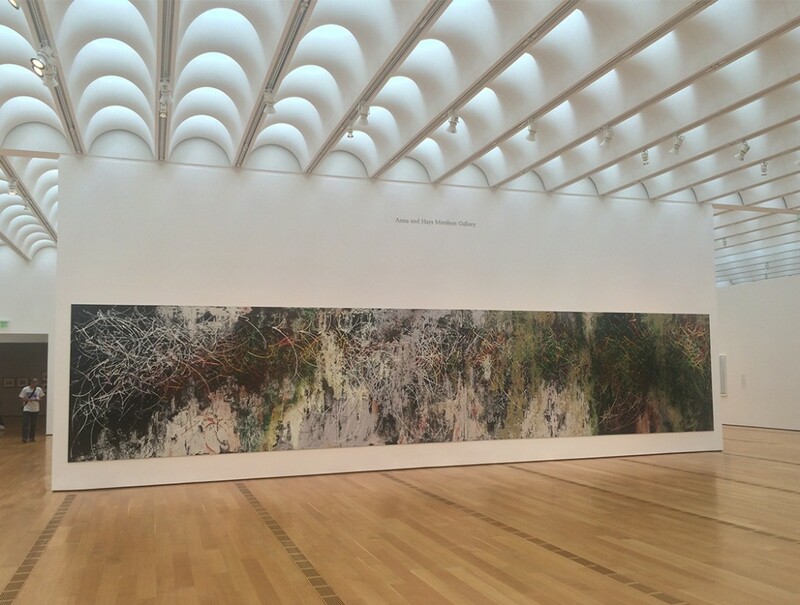 The Rezno Piano addition to the High Museum by Richard Meier. 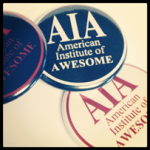 Previous posts in regard to AIA National conventions. Great round-up Andrew. I like that you zero’d in on Clintons “focus on our similarities” comment. 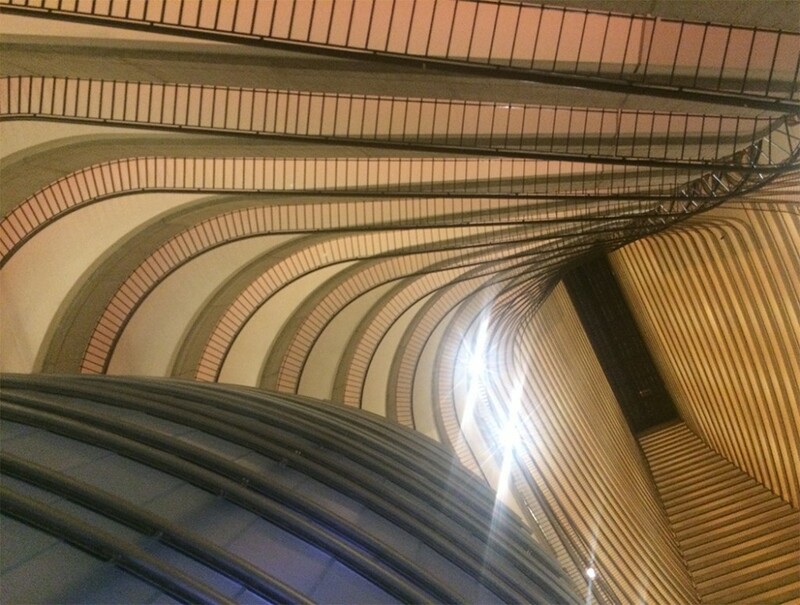 The Archispeak guys also highlighted that comment. Next year I will stick around long enough at the BBQ joint to meet you guys.